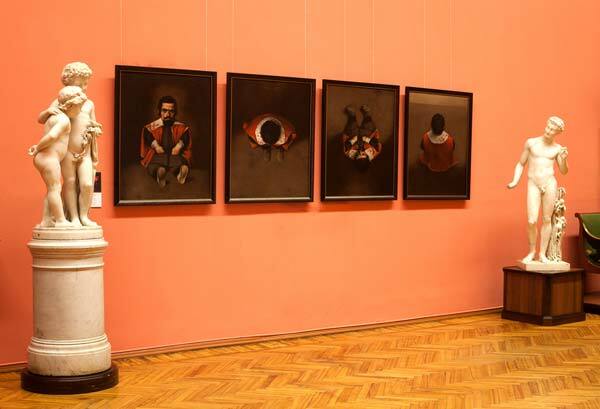 Solo exhibition of Ruslan Vashkevich opened in the National Art Museum in Minsk, Belarus, which is the major museum in the country and is famous for its collection of classic fine art. 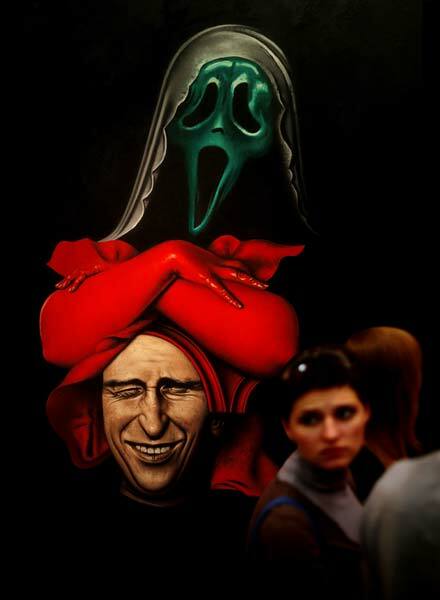 The artist's project is named "Museum" and is curated by Almira Usmanova. 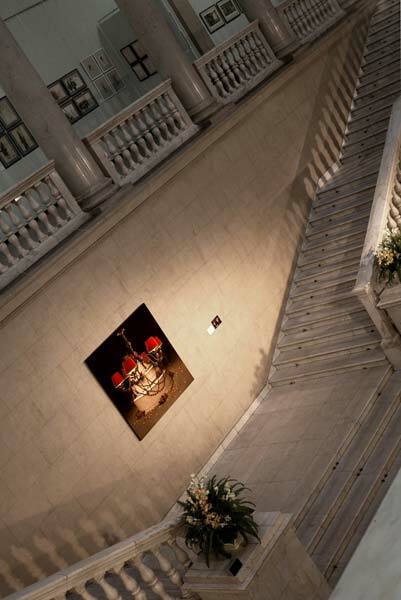 The exposition will be on display through October 10, 2011. 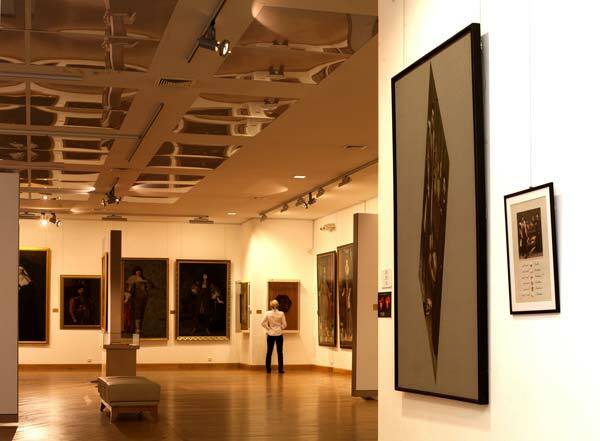 The exposition includes more than 20 works. 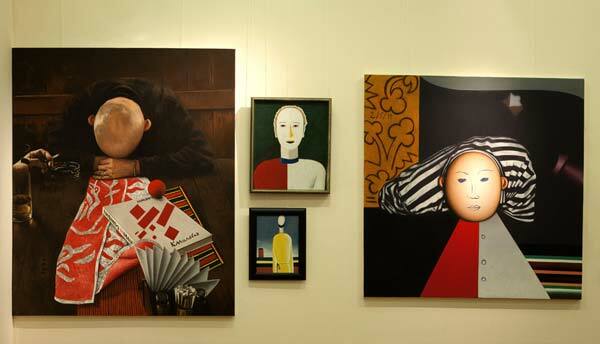 Here Ruslan Vashkevich’s new artworks are displayed along with quite well known “old” ones, which had been conceived and created in the nineties, though not necessarily in their original version - the focus is drawn to the artist’s interpretations. 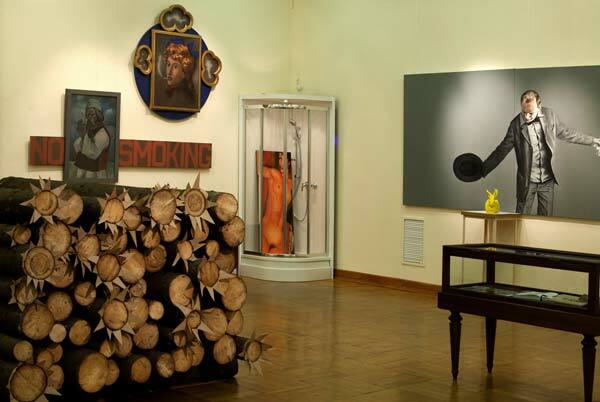 The "Museum" created by Ruslan Vashkevich is a museum without borders in all senses. 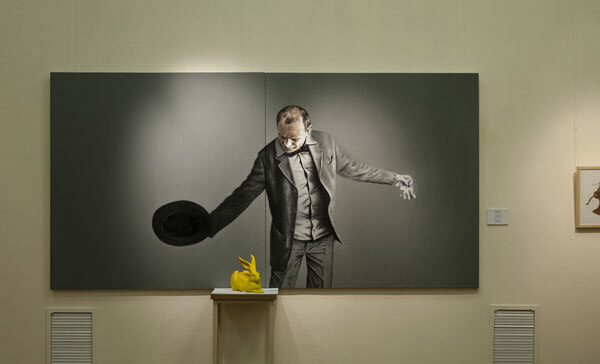 Not only without frontiers between the past and the present, between art and non art. It obliterates the distance between old masters and contemporary spectators, between classical painting and postmodern advertising. 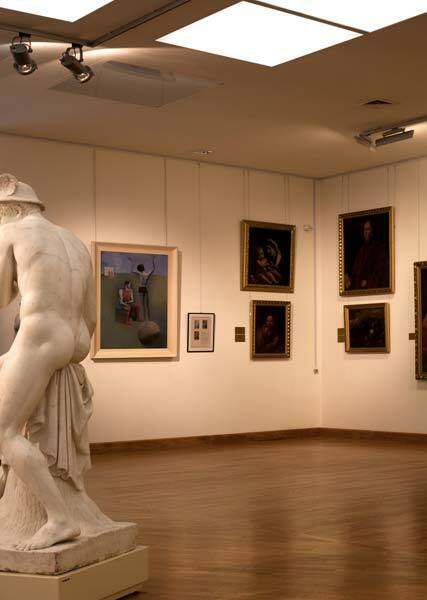 It challenges the very concept of a museum as a “bastion of cultural respectability” (as Paul Virlio put it), whose walls firmly protect the world of art from the interceptions of the street and from the profane judgments on the Beautiful and Sublime. 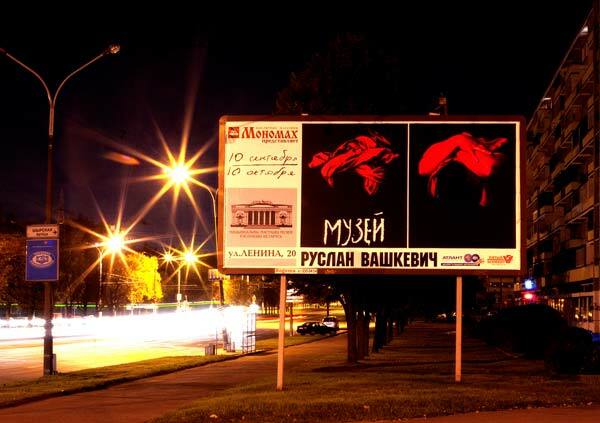 Ruslan’s project allows reflecting on to which extent the classical museum can be really modern, interactive, provoking – informative and entertaining simultaneously. But “Museum” is also an exhibition-insight, the narration on the adventures of the wandering gaze, which belongs to the artist who is able to estimate professionally that what has been created by other artists in the previous times, and who tries to comprehend that evolution, which visual image had gone through from the hand -made artistic devices of visualization of the imaginary world to the computer-generated effects. 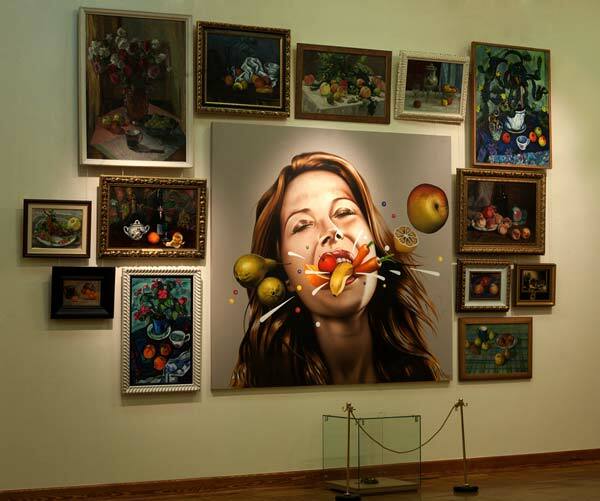 Ruslan’s "Museum" allows us to live thought the synaesthetic experience of art in all its completeness and to reveal its multimedia character, due to the expansion of our perceptive capabilities and the play of imagination. Where there was a stasis – the intensive motion is to be discovered. Where the silence reigned – all of a sudden the noise of water and other sounds have become audible. 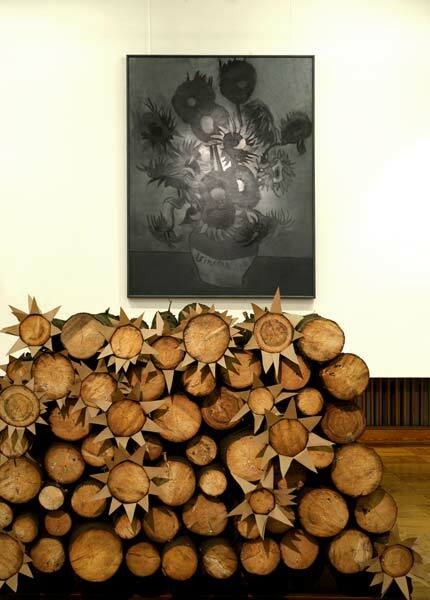 Where there was “the dead nature” (nature morte) – life has appeared in all its colors and smells. And at last where it seemed that the History had come to its end, the curtain had unexpectedly opened and the new show has begun.